WASHINGTON – Today, after the House passed H.R. 5538, Department of the Interior, Environment, and Related Agencies Appropriations Act, 2017, which grant awards for actionable funds under the Drinking Water State Revolving Loan Fund (DWSRF) to help cities and communities with lead in their drinking water address this issue. H.R. 5538 also contained a provision that would increase EPA Science and Technology by $3 million intended to “help provide fresh drinking water to communities that have been impacted by lead in their drinking water” and would reduce EPA Environmental Programs and Management by $3 million, and another that would eliminate the limitation that 20 percent of funds made available to each state under the Drinking Water State Revolving Fund may be used to provide subsidy for communities in which a state disaster declaration is in effect due to potential exposure to lead in drinking water. 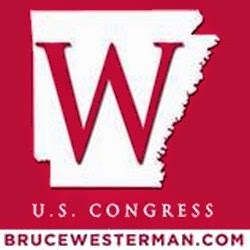 Tags: Rep. French Hill, District 2, Arkansas, increase funding, improve drinking water quality, Arkansas To share or post to your site, click on "Post Link". This site is an Outreach of the ARRA News Service.